On a sunny morning in 2004, in Phnom Penh, Cambodia, two men on a motorbike pulled up at a newsstand. One of them stepped off, walked over to Cambodia's most popular and influential labor leader, and calmly shot him in the head and in the heart. Director Bradley Cox arrived at the scene of the murder minutes later, with his camera. For the next five years he filmed every important development in the case. Who Killed Chea Vichea? takes us from the dusty streets and slums of Phnom Penh to remote villages, through courtrooms, brothels, factories and gambling dens. Together with producer Rich Garella, they created an unprecedented film about the inner workings of one of the world's most corrupt states. By 2004, Cambodia was becoming one of the world's largest garment exporters. Foreign-owned factories employed hundreds of thousands of desperate young women who flooded in from the countryside. The country quickly became dependent on garment exports. Its biggest customer was, and still is, the United States. Vichea, the president of Cambodia's free trade union, slept on a mat in the union office and didn't collect a salary. Despite beatings and death threats, he rallied the workers as they fought for wage increases, improved working conditions and an end to forced overtime, and often won. He gained an international reputation in the labor movement, and Cambodia gained a reputation as a model country for worker's rights. But inside Cambodia, the lesson of the Khmer Rouge regime, and of the regimes before and after it, is well known. Ally oneself with power - or face the consequences. Who Killed Chea Vichea? is about the killing of one man and the slow silencing of an entire nation. It is about how a small elite keeps an iron grip on power through the use of its police, its army, its manipulation of the courts and its most effective tool: fear. And it is about how hope survives against incredible odds. Kristin was brought on by ITVS to manage the film's national public television distribution. To date, "Who Killed Chea Vichea?" has had more than 530 broadcasts on 208 stations in 106 markets across 63% of the U.S., making it available to more than seventy-two million television households. "Who Killed Chea Vichea?" 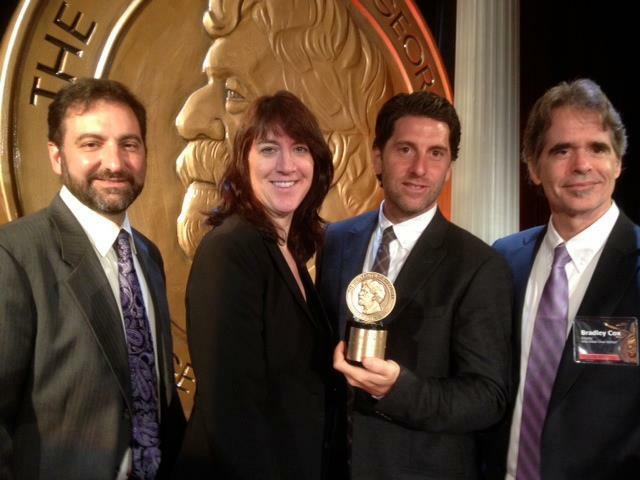 wins 2012 Peabody Award! "The documentary is so artfully shot and assembled that it can seem like a noir detective drama. But Vichea’s case is tragically real... For shining light on a crime that reverberates on two continents, Who Killed Chea Vichea? receives a Peabody Award." "A gripping account of a corrupt government's campaign to hold onto power at any cost, and the quiet resistance of a people facing overwhelming odds." Director Bradley Cox lived in Cambodia for almost five years. He captured the story of Chea Vichea's murder as it unfolded on the streets and in the courtrooms of Cambodia. He previously made the documentary Cambodia: Anatomy of an Election and was a co-founder of Bhutan's first film school. Before moving to Asia, he worked as a screenwriter and director in Los Angeles and his fiction and non-fiction movies have won numerous film festival awards. He currently lives and works in Bangkok, Thailand. Producer Rich Garella lived in Cambodia for most of 1995 - 2003. He was managing editor of The Cambodia Daily, and later worked as press secretary for Cambodia's main opposition party. He co-wrote and produced Polygraph for MoveOn.org's "Bush in 30 Seconds" project in 2004; the ad was broadcast nationally. With Eric Pape, he wrote A Tragedy of No Importance, about the 1997 grenade attack against the Cambodian opposition. Producer Jeffrey Saunders is an Emmy-nominated filmmaker and founder of CinemaCapital, an independent production and distribution company based in New York City. His films have been selected at international festivals including the Berlin Film Festival, IDFA, SWSX and Thessaloniki, and acquired by broadcasters including Sundance, ARTE, TF1, ZDF and SBS. His feature film Goal Dreams was selected as one of the top ten “Movies that Matter” by Amnesty International in 2006.